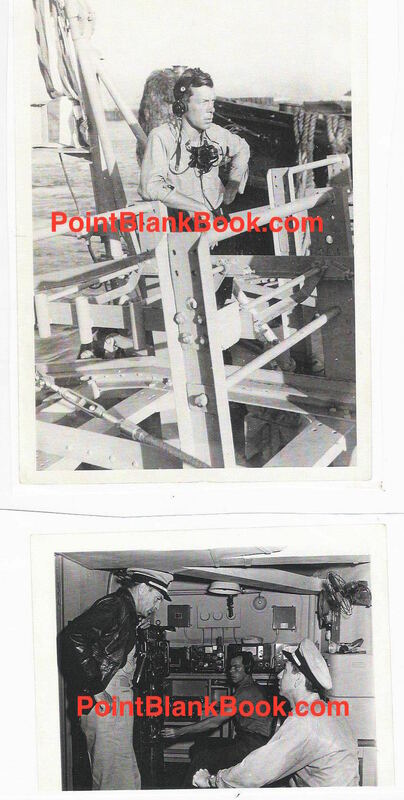 This entry was posted in Blog and tagged Charles Bronson, Dwayne Epstein, Eddie Bracken, Gary Cooper, Henry Hathaway, Jack Webb, Lee Marvin, Lee Marvin Point Blank, Marlon Brando, Meyer Mishkin, The Wild One, We're Not Married, You're in the Navy Now by Dwayne Epstein. Bookmark the permalink. In “You’re In The Navy Now”, Lee is unbilled or referred to as “radio operator”. 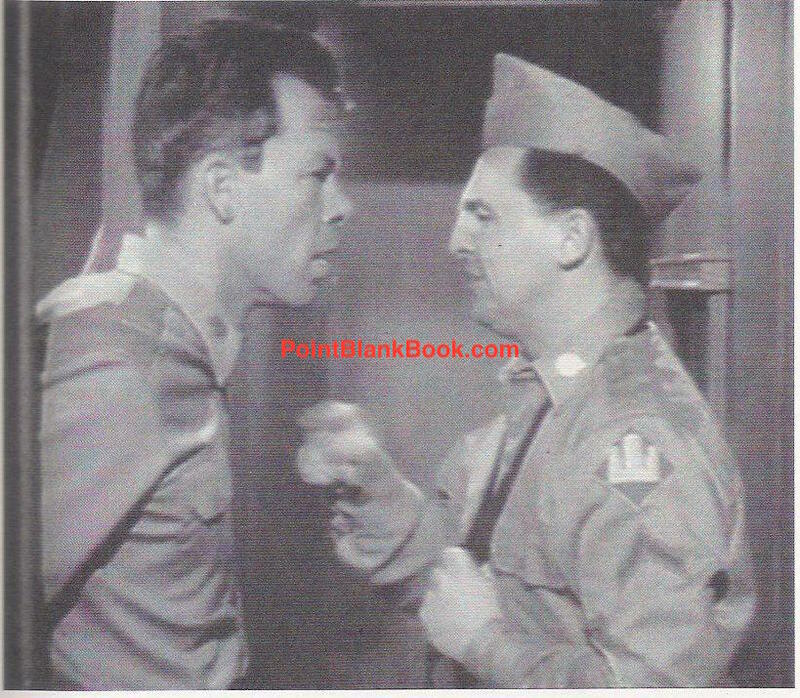 In the scene shown above, if you listen carefully, you can hear Jack Webb refer to Lee as “Lee” when saying a line to Gary Cooper. 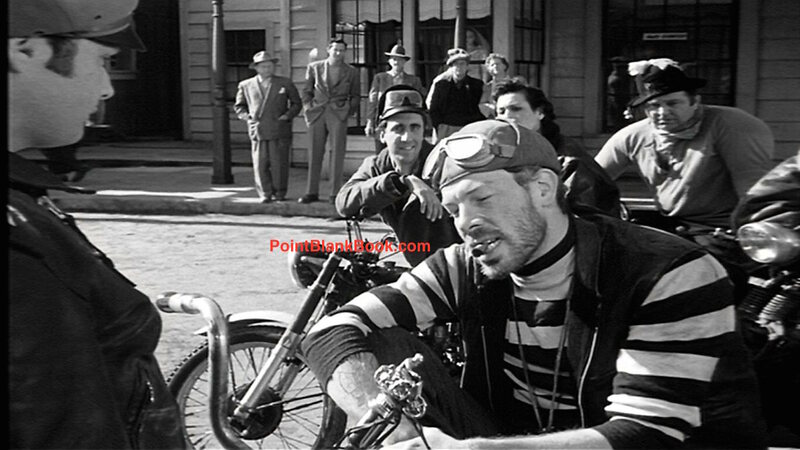 The final scene of Lee in “The Wild One” is after he escapes the jail and is partying in the street with a funny hat on, with Marlon Brando telling him they should split the scene, or something. When I first saw this movie, as a 12 year girl who didn’t understand men getting into fights, I was confused why Johnny and Chino would have such a vicious fight and then appear as friends immediately after, re: the “Frogface” scene. Even at 12 I thought Lee was the best thing in the movie and felt cheated that he only had about 4 scenes. Interesting take on Le’s early work, Shawn. One thing, though. I think you may be mistaken about Lee’s last scene in The Wild One. Once he sneaks out of jail, he’s not seen again for the remainder of the movie. You may be thinking of another actor with a funny hat. Hi Dwayne … I just watched Lee’s 4th scene. It’s after Cathy runs away from Johnny in the park. The funny hat is a top hat wrapped with those aviator goggles Lee wore in the 1st scene with the fight. Lee and some of the gang are drunkenly destroying a refreshment stand. Johnny says “Hey Chino, how did you get out of the can?” Lee’s last line in the movie is “Storm the Bastille !! !” Fun scene … Check it out. BTW, I enjoyed your book very much. You know what, Shawn? You’re right! I completely forgot about Lee and and company trashing the town near the end. Good job! Oh, and thanks for liking my book. Feel free to write a 5-star review on Amazon if you like.